When one Costa Mesa man takes his simple goal – to get to know some homeless people – and tells the world about it through a blog, interesting things can happen. Dave Rosendahl blogs about meeting homeless people. Since he started in January, people from around the world have visited the site, davidrosendahl.com, and donated more than $1,400 to his cause. 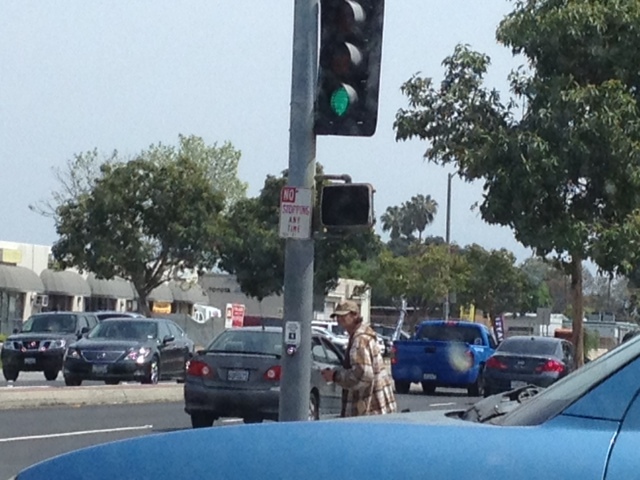 One homeless man, also named Dave, has starred in at least six blog posts. 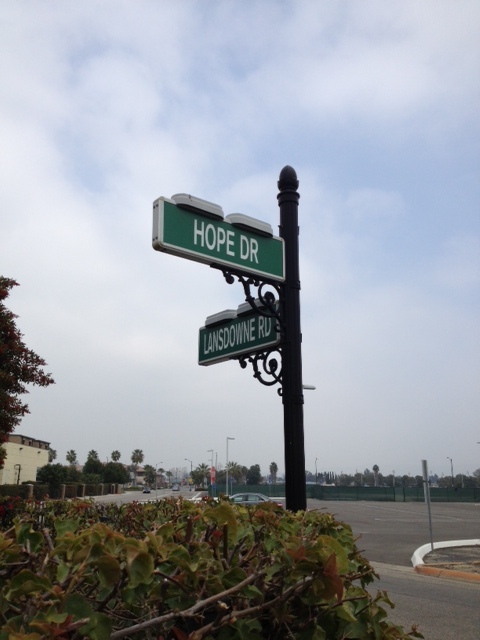 Rosendahl takes readers from the point they met in a Harbor Boulevard parking lot, to the Orange County Rescue Mission, where “homeless Dave” intends to apply for residence. Rosendahl used reader funds one night to buy him a hotel room. I sometimes wish I could focus on issues like those faced by our homeless friends full-time. Knowing Dave has been a huge blessing! What about you? 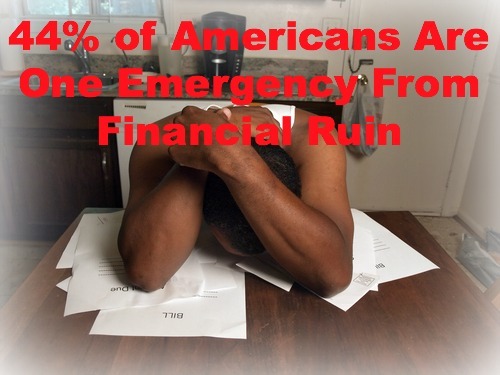 If you could do anything to help other people (and not have to worry about an income), what would it be? Suddenly, and without warning, I lost contact with him. Life has been so busy with travel, work, and family, that I haven’t been able to get out on the streets and look for him — until today. I spent about 2 hours searching Santa Ana and Costa Mesa, driving, parking, and walking around spots I recall him speaking about. 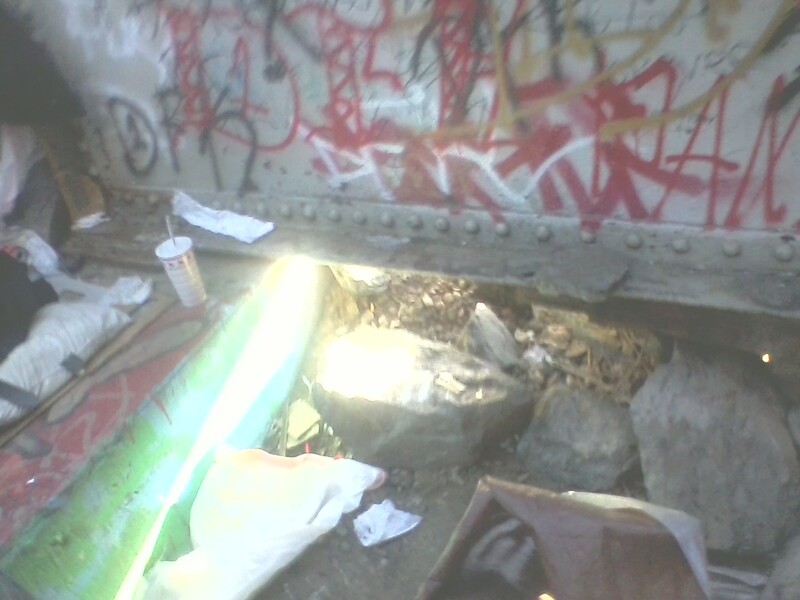 I looked under bridges, behind buildings, and in parking lots. I drove around in circles, wondering, praying, and asking for guidance to find a needle in the haystack of a busy city. About to give up, I decided to look in the parking lot of a Starbucks we’ve sometimes met. I parked, and walked around, hoping for something. Dave’s home under the bridge. Against the odds, he’s making a love-fueled comeback. After writing this post (my third in the series), I included a link that allowed readers to donate towards Dave’s journey. Within minutes, $50 had been donated. After a week, we received $1,421, not to mention other physical donations. Honestly, I never expected this to happen. 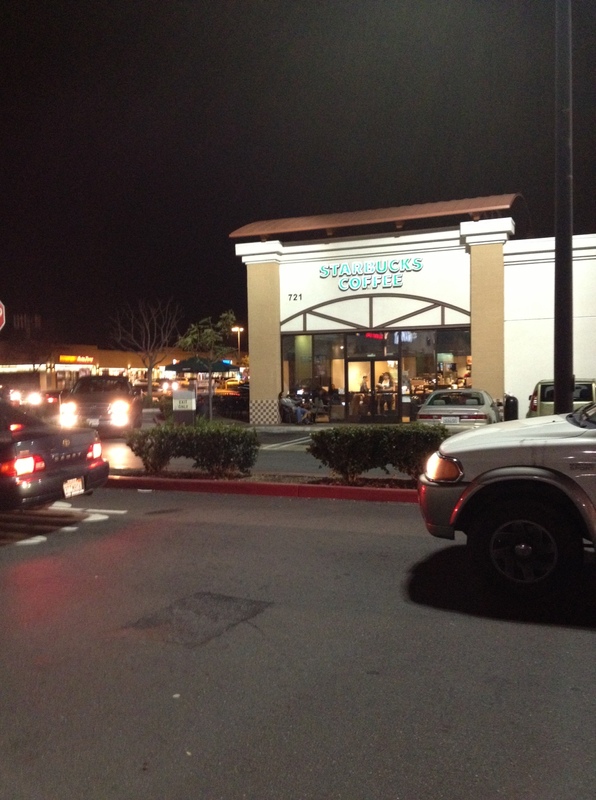 Dave and I sit in the parking lot of this Starbucks and talk. On Wednesday of last week, Dave and I meet in a Starbucks parking lot, a 10- minute drive from home. “Come on, let’s sit in the car, it’s cold,” I tell him, motioning to my wife’s car. We get inside, and I ask him how it went with his kids. Because of your kindness, he was able to spend a night in a hotel, get cleaned up, and feel somewhat human in advance of seeing them. This small luxury was a huge blessing for him. “It was amazing … so, so good!” he says, repeating his words with emphasis and emotion. “But my older boy, I think he’s got something on his mind about me,” he says, somewhat sadly. I nod, wanting him to continue and share. Me on the left, Dave on the right — a day after your gift of a night in a hotel. Dave is 40 years old, and homeless. He lives under a bridge with 2 friends he met on the street. 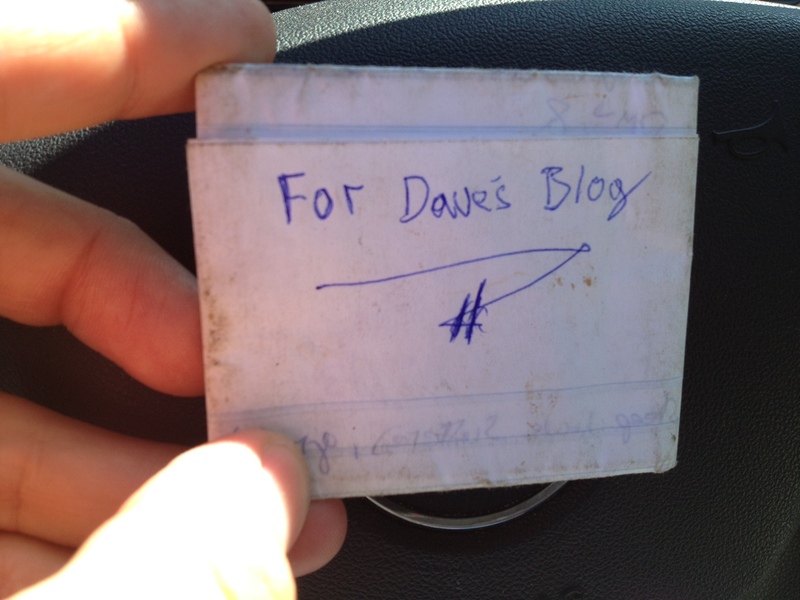 I met Dave in a Target parking lot, and have been sharing his story on this blog. In response, you’ve showered him with an amazing outpouring of love and support. 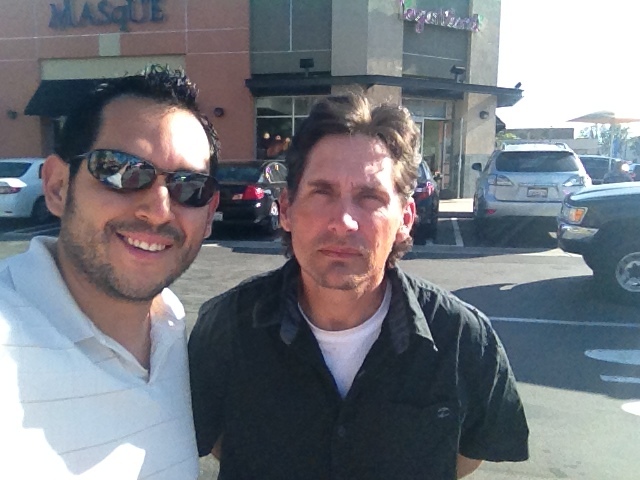 Costa Mesa Homeless: My Time With Dave: My first encounter with Dave, which was the result of a seemingly random choice. 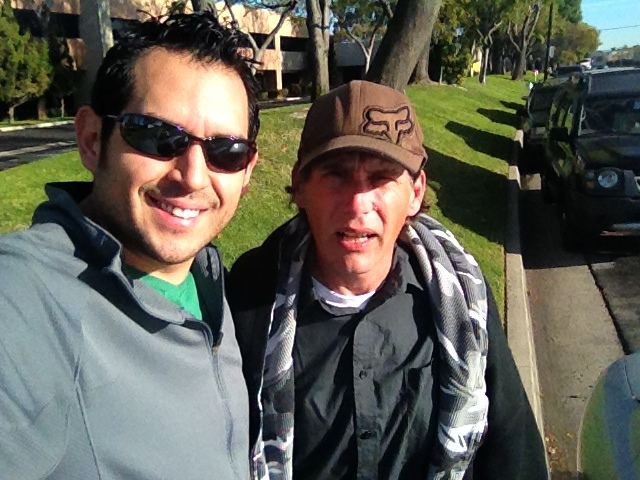 Costa Mesa Homeless: My Time With Dave (Part 2): Our second meeting, where we learn more about Dave’s past — and an idea to help him takes root. Costa Mesa Homeless: My Time With Dave (Part 3): The story of Dave’s night in a hotel, provided by you the readers, and what he did with $20 that stunned me. 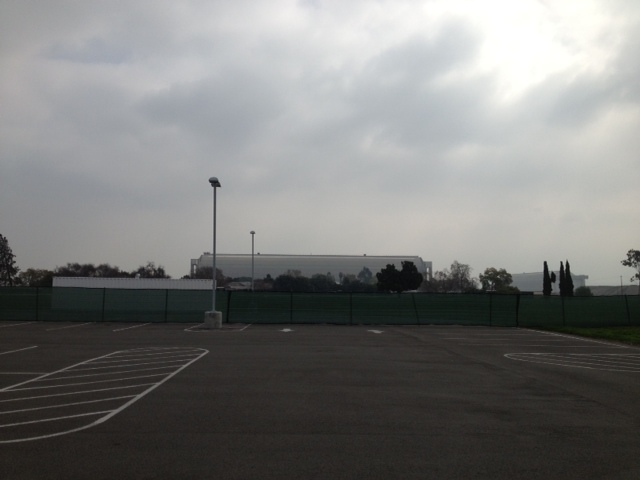 Costa Mesa Homeless: My Time With Dave (Part 4): Since readers have entrusted over $1,200 in donations to Dave and his story, I decided to take a tour of the Orange County Rescue Mission, which is where Dave intends to live. I’ve included some pics — it is an amazing place! [Video] Costa Mesa Homeless: My Time With Dave (Part 5): Over sandwiches at Panera, Dave reads everything written about him on this blog (including your comments), and writes a thank-you note. Also, he decides to film a short video! See the man whose life you are changing. Share this story. Send it to your friends, post it to Facebook, send links via email. Leave Dave a comment on this blog. Tell him where you’re from, and how you heard about his story. I’m going to show him these posts soon. If you have words of encouragement, leave them here. He’ll love reading them. Please continue to pray – not only for Dave, but also for me to discern what to do with the energy and momentum these stories have created. Where is it leading? Donate. If you feel led to give in any amount, you can do so by clicking here (I’ve set up a special PayPal account). I will oversee the resources you provide, and will give a full accounting of how the money has helped Dave. I’m tracking everything you’ve committed, and taking note of exactly where it goes. I’ll post that soon. If you have physical donations, I can arrange to pick them up. If you have questions about what Dave needs, leave those in the comments. Dave’s life is being changed by people he doesn’t even know, from across the globe. Will you join in making a difference in his life? Every amount counts, no matter how small. Donate here. It’s Thursday, January 31st, around 5 PM, and I’m running to a meeting when my wife texts me: “I need u to come home and help me”. I step out and call her. I can’t hear a thing she’s saying, but I get the point: stressful day, I’m needed. Now. I step back into the meeting, apologize, and run to my office. I remember that I’m ready to publish a post about the prior week’s experience with Dave, who is 41 years old and homeless (see part 1 here, part 2 here). I wrote the post while flying home from Vegas. On the flight, I decided to try something that weighed on my heart: asking you to get involved. I felt that asking you to help Dave get his ID, and providing him a gift of a night in a hotel would touch his heart. This is why I included an “ask” at the bottom of the post, being faithful to the prompting but unsure of what to expect. I connected the “ask” to a PayPal account, and configured it to allow donations of any size. But my wife needs me, so I set the post to auto-publish at 5:30, and make a mad dash down the stairs. I get home. My wife is feeling overwhelmed with work (her first week back after a 9 month maternity break). Plus, I’ve been out of town for three days. Abby’s been a handful. We talk, and things calm down a bit. At 6:44, I remember I haven’t promoted the post, so I make a few status updates on Twitter, Facebook and LinkedIn. I feel a little self-conscious about asking you to help, but I’ve learned this discomfort is usually a good sign. At 7:19, a $50 donation comes in. I can’t believe my eyes.